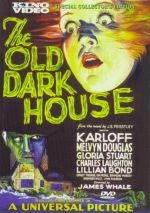 From Frankenstein director James Whale, 1932’s The Old Dark House introduces us to a mix of travelers who get stuck due to a landslide while they traverse a remote area in Wales. Desperate for shelter, they come to a mansion maintained by the Femm family. Our travelers find themselves stuck in an abode more akin to a madhouse, as the Femms prove to be bizarre hosts. Even if you never watched House, you’ve seen its many imitators. Over the decades, stories like this one became staples of the horror/thriller genre, so aspects of the film may come with a certain sense of déjà vu. None of this familiarity should impact your enjoyment of House itself, though. Imbued with Whale’s giddily macabre sensibility, it still holds up well after 85 years. Cinema has always been a director’s medium, but that becomes even more true for a film like House. With a fairly thin concept, the execution seems all the more important – without a talented director, a tale like this could meander and go nowhere. Whale proves up to the task, as he takes the simplistic concept and makes it fly. Whale demonstrates an excellent sense of pacing, as he allows events to develop at a natural rate. A less skilled filmmaker would feel the need to rush into the more terrifying aspects of the story, but Whale remains patient. He imbues the movie’s first two acts with more than enough creepiness to keep the viewer involved, and he doesn’t telegraph its subsequent scares. Are the Femms simply eccentric or do they offer a genuine threat? Whale keeps matters close to the vest, so we discover the truth with the characters themselves. Once we get to the third act, the narrative opens up in a dynamic manner. No, we don’t get the kind of wild theatrics we’d find in a modern movie, but House doesn’t need those sorts of obvious stabs at terror. Instead, House relies on its creepy mood and occasional bursts of insanity to pack a punch. The movie remains a horror classic that sustains its impact after many decades. 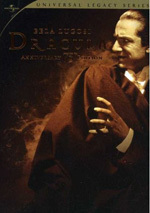 The Old Dark House appears in an aspect ratio of 1.33:1 on this single-sided, single-layered DVD. Due to those dimensions, the image has NOT been enhanced for 16X9 televisions. Even for a 85-year-old movie, this was a disappointing presentation. Sharpness appeared mediocre at best. Much of the film offered soft, vague delineation, so it never looked better than passable, and a lot of it came across as tentative and ill-defined. Minor examples of shimmering and jaggies occurred, but edge haloes failed to create problems – I guess. Given the darkness and general murkiness of the movie, it could be tough to tell if edge haloes appeared or not. Blacks tended to seem muddy and inky, while shadows were dense and thick. Contrast was problematic, and the movie could seem too bright at times. Various print laws abounded, as I saw many specks, marks, blotches, lines, tears, scratches and other issues. This turned into a consistently ugly image. I found nothing better about the movie’s tinny monaural soundtrack. Speech was generally intelligible, though some lines could be tough to discern. The dialogue also tended to be thin and feeble. As with most movies of its era, House included no score – music appeared only at its open/close. Those moments offered scratchy, shrill material. Effects came across in a similar way, with audio that sounded rough and thin. Lots of background noise interfered with the movie, and popping could make it tough to hear the dialogue. This became a weak soundtrack. A few extras round out the set, and we find two separate audio commentaries. The first features actor Gloria Stuart, as she provides a running, screen-specific look at her career and her experiences during House. Actor commentaries often fizzle, and given Stuart’s advanced age at the time she recorded this one, I expected very little from it. Happily, Stuart manages to give us a pretty nice discussion, as she offers a mix of good notes about the subjects at hand. This becomes an enjoyable little chat. For the second commentary, we heat from writer James Curtis. He delivers his own running, screen-specific discussion of director James Whale and other crew, cast and performances, and various production areas. As a historical commentary, Curtis brings us a decent but not great chat. While he touches on a fair number of useful topics, the track lacks a certain level of depth and insight. This seems like a listenable piece but not one that excels. An Interview with Curtis Harrington presents a seven-minute, nine-second piece. The horror filmmaker discusses his acquaintance with James Whale and his efforts to save House. This becomes a short but fairly interesting chat. The set finishes with a Photo Gallery. It delivers a running eight-minute, 40-second reel that displays 63 movie shots, publicity materials and pictures from the set. The content seems decent but the quality appears awful, and that makes this collection less effective. After 85 years, The Old Dark House remains a strong thriller. 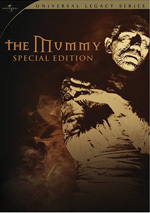 Due to James Whale’s deft direction, the film maintains a creepy vibe combined with effective scares. The DVD offers weak picture and audio along with some useful supplements. I wish this was a better DVD, but I like the movie a lot.